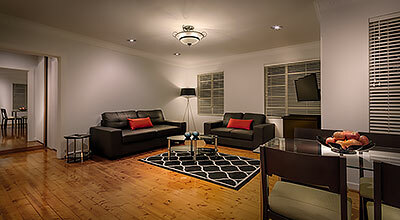 One bedroom apartment serviced accommodation with ensuite bathroom. Modern and spacious self contained apartment with full kitchen, laundry facilities and spa baths in selected apartments. 3 bedroom apartments with full kitchen, lounge and dining rooms, work desk etc. 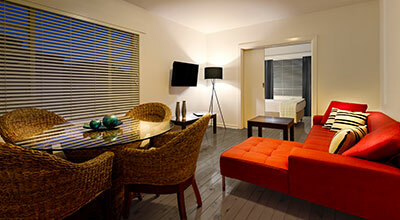 Stay in Crest on Barkly Hotel – great value for money with direct tram access to Melbourne city. 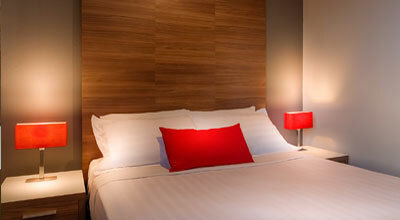 Hotel style accommodation, newly refurbished hotel rooms with modern interior, reverse cycle air conditioning. 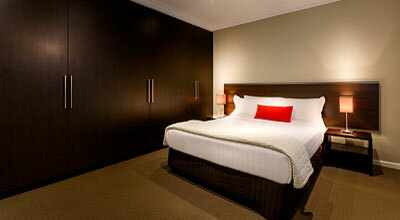 Ensuite bathroom featuring large walk-in shower or bath, with complimentary toiletries and hairdryer. For a little extra, upgrade to our Deluxe Spa Suite offering a more spacious floor plan and extra special amenities.